Despite being a relatively new development, floor plans here have a traditional feel, in other words, sensible. The space has been logically used. The master bedroom has an en-suite, while the second bedroom has its own separate, yet large bathroom. The living, kitchen dining space is again generous and practical. Fully equipped with connected services, laundry, high-speed internet and fresh linen. 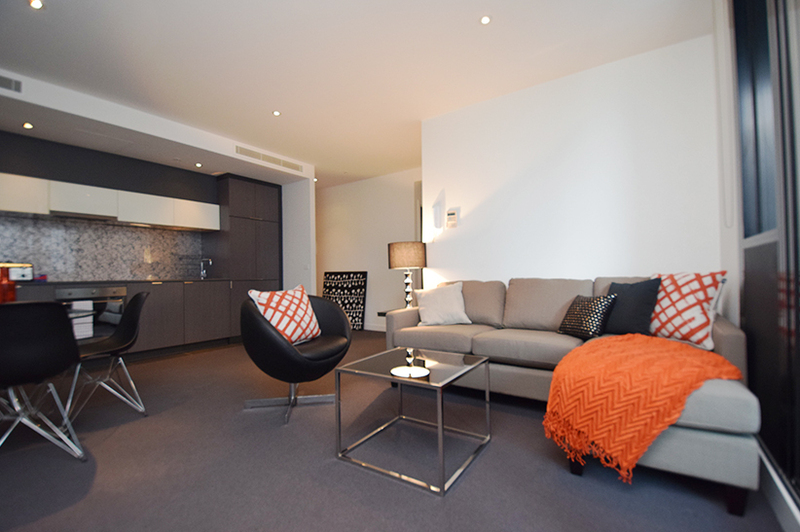 If you are looking for a corporate apartment in Melbourne, then this would suit two assignees sharing, or a senior manager. Cross City Road and you are on Southbank with its riverside walks, restaurants, bars and cafes. Your corporate apartment in Melbourne puts the city only a few hundred metres away across the Yarra River, so if your project is in the city, a short walk or tram ride will get you there. 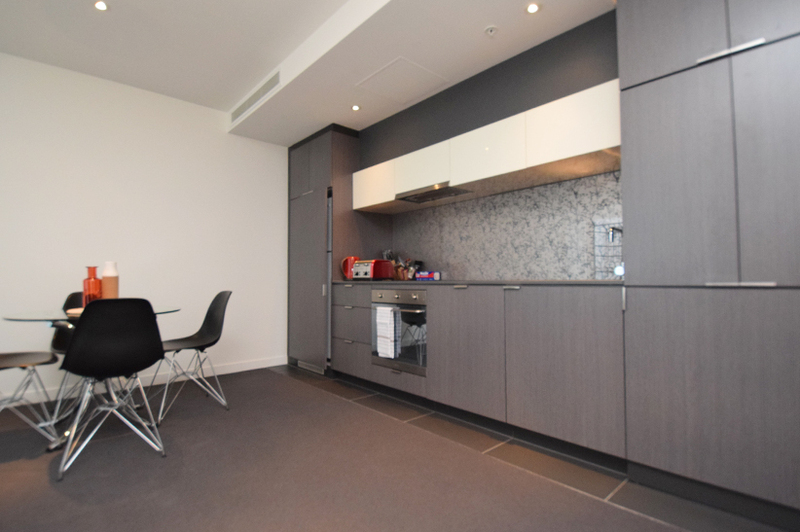 Two bedroom apartment on the 19th floor featuring a contemporary design and modern fittings. Apartment includes a balcony with city views, full kitchen with large living and dining space. The building also features Indoor heated pool, Gymnasium and Sauna. When it comes to entertainment, Melbourne is a famously active city. There are many options and this website will help you. 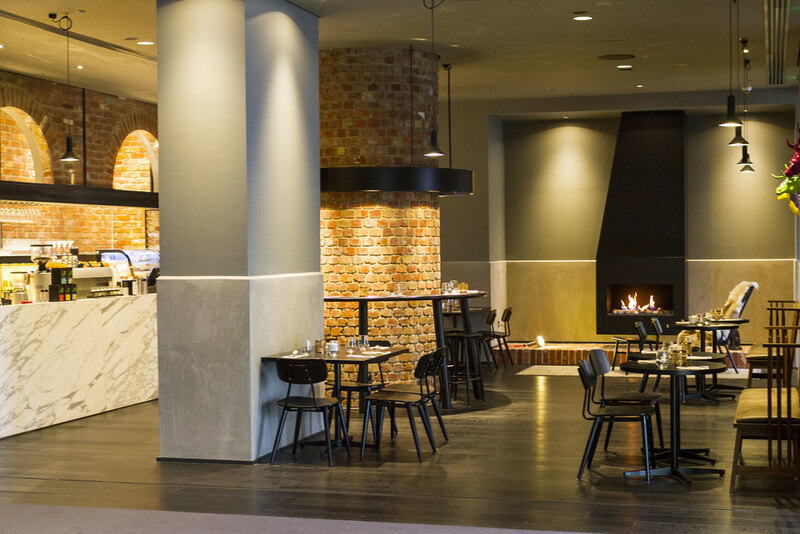 Another attractive feature of this property is the on-site restaurant. Be it just a a coffee on the run or a delicious breakfast the Wrap restaurant has a good menu and is certainly convenient. Known as “Dee Casa”, it will not disappoint. 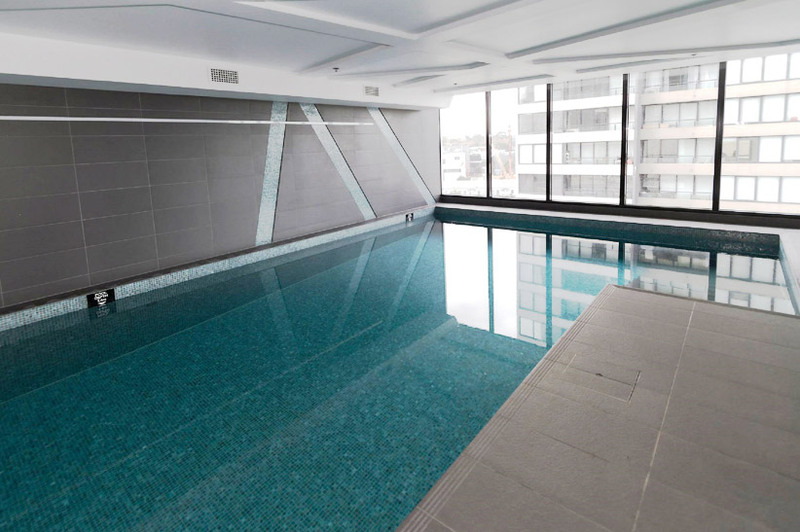 As a resident of this excellent corporate apartment in Melbourne you also have free access to the pool and gym. No excuse for not keeping fit while on your assignment. Our guest services team know their properties and their City intimately well. 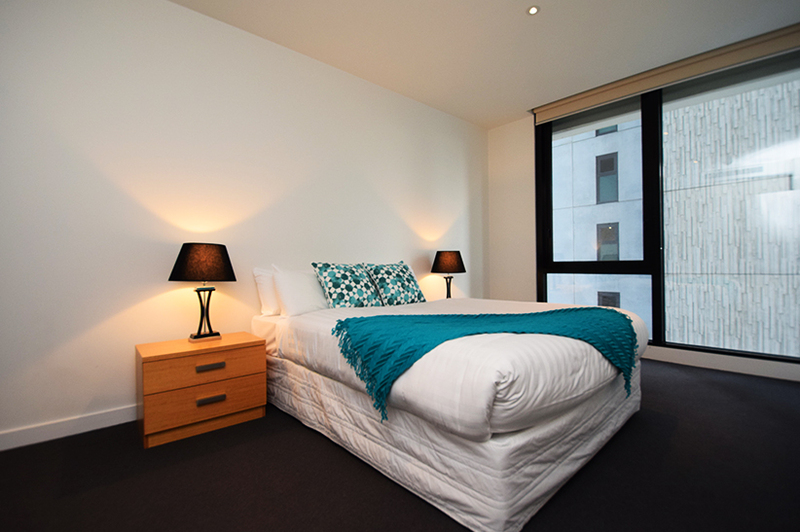 They are at your disposal to help you find the perfect corporate apartment in Melbourne for your needs. They are there to ensure that you have a wonderful stay. You will find them accessible and responsive. Should you have any maintenance issues during your stay, they will get it fixed quickly.